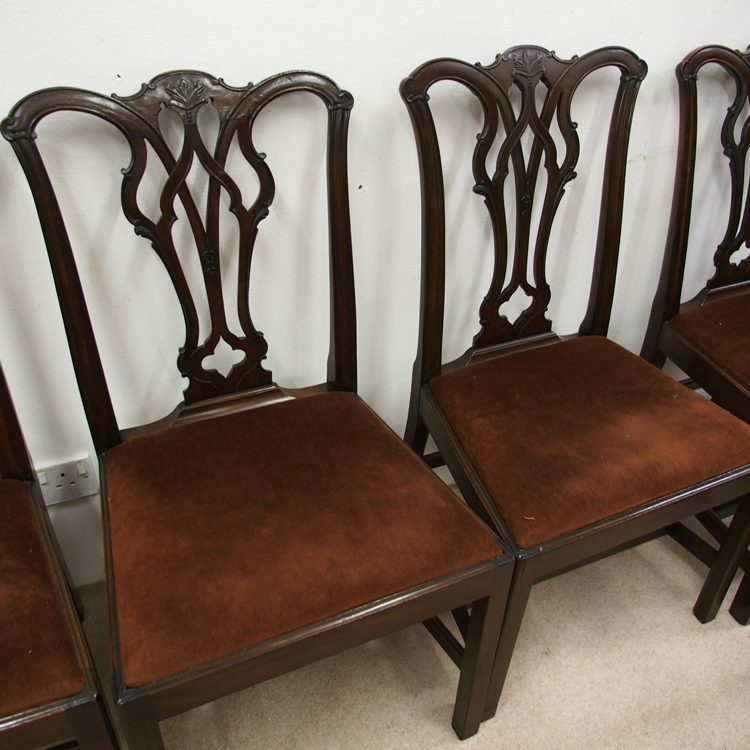 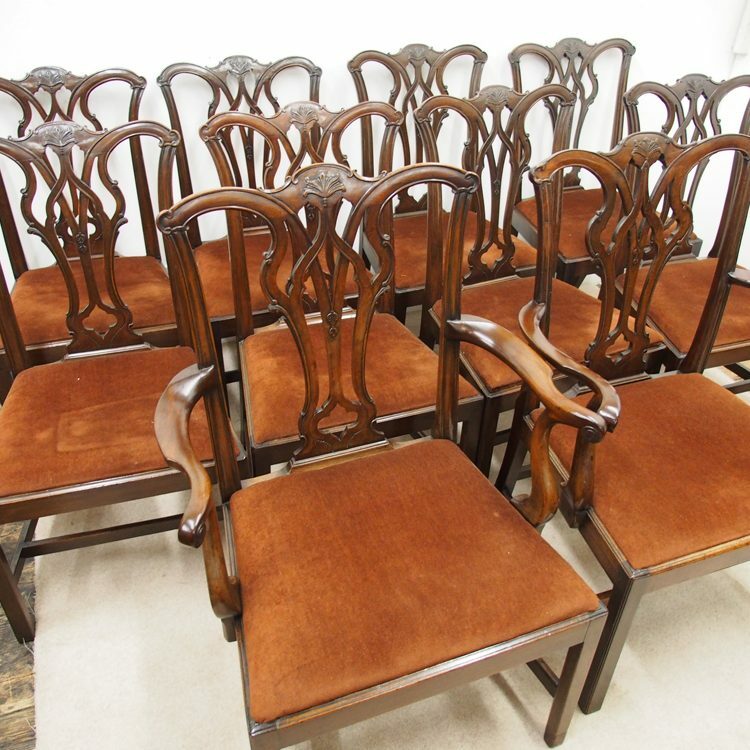 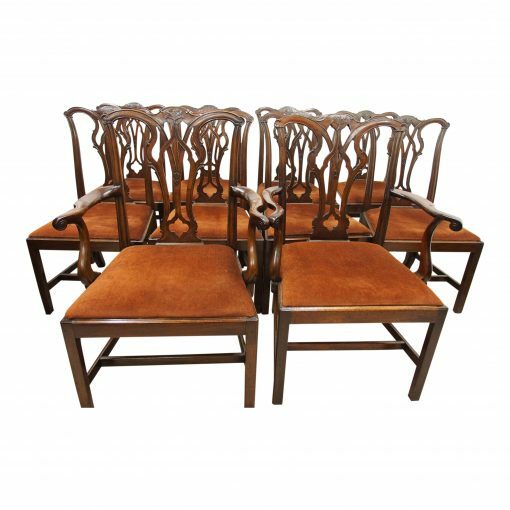 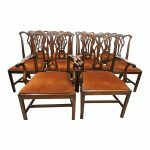 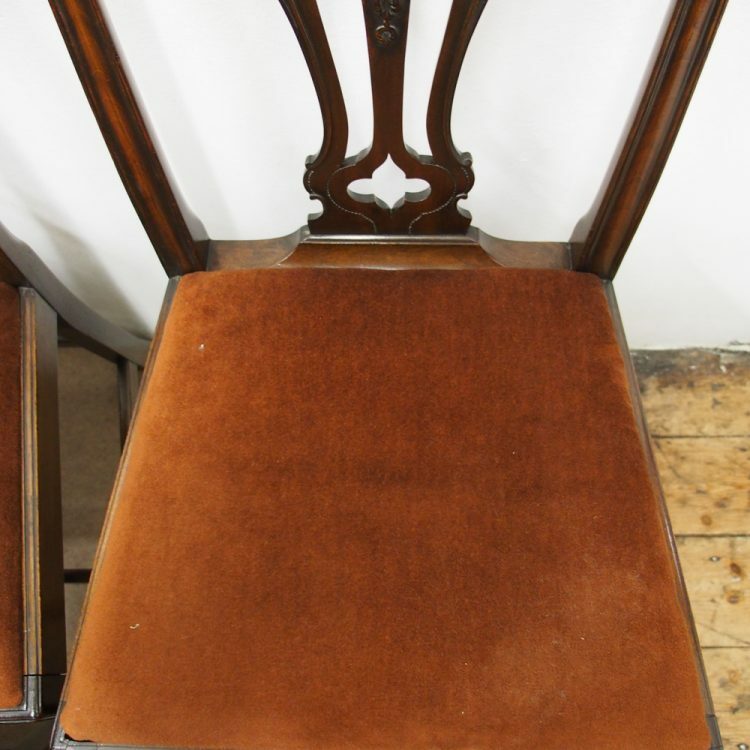 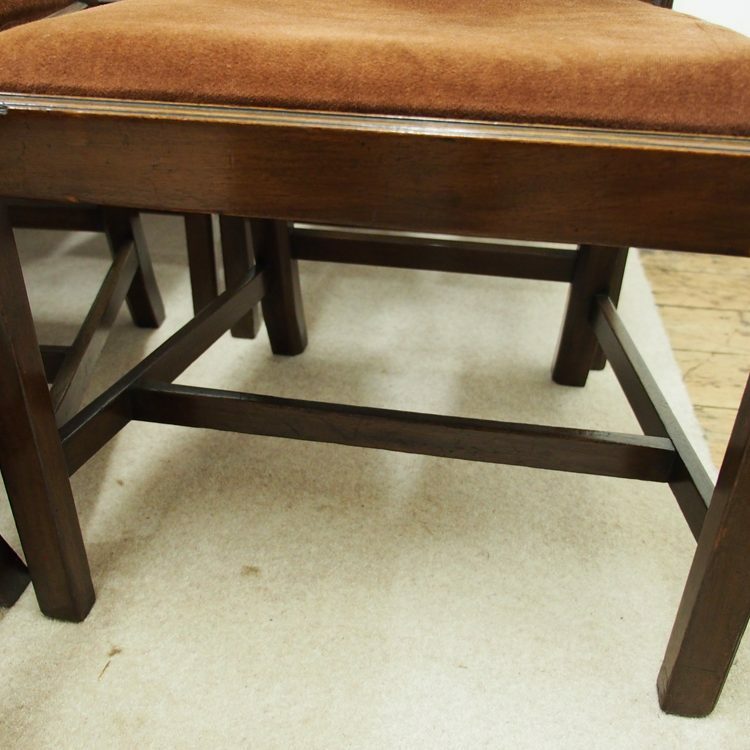 Circa 1900, set of 10 mahogany Chippendale style dining chairs. 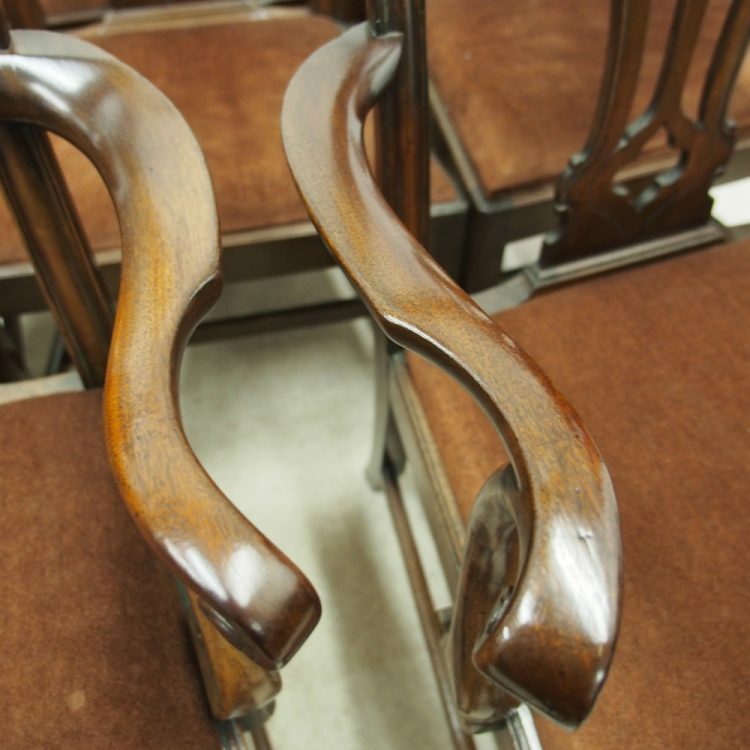 The set includes two carvers, with scrolled arms. 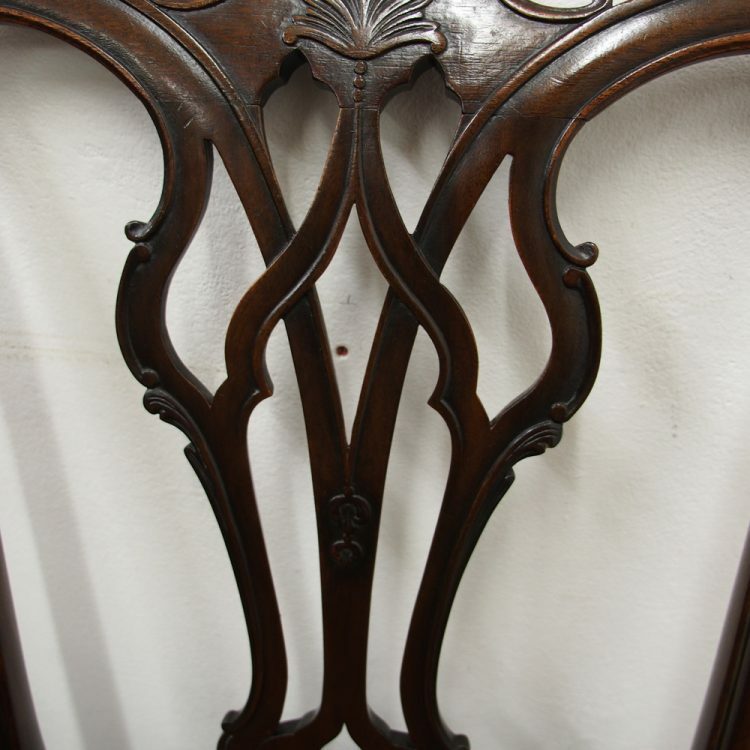 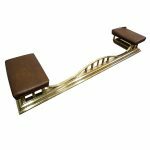 The ribbon-back chairs have neat foliate carving and all stand on square supports with stretchers.